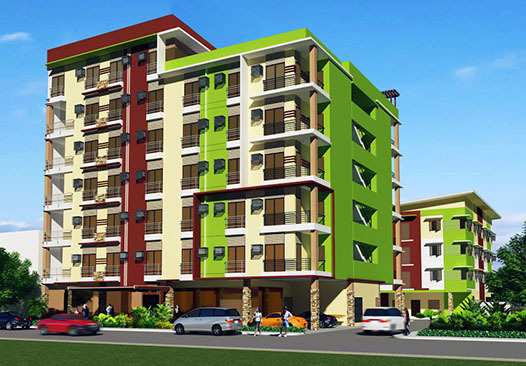 CAGAYAN DE ORO CITY (Feb. 8, 2016) — Johndorf Ventures Corporation (JVC) has simplified the process for new homeowners at Granvia Suites to move in within just three months after they close their reservations, announced the company. Moreover, a homeowner gets a rebate worth two months of one’s equity should one would already take out the purchased condominium unit with the release of one’s loan within six months from reservation. Furthermore, as a way to celebrate today the 2016 Chinese New Year of the Fire Monkey, JVC is making it easy for buyers to close their reservations, according to Michele D. Chiu-Bacungan, JVC sales and marketing manager. JVC is giving the offer to hasten the take out of semi-furnished studio and one-to-two bedroom units at Granvia Suites, a completed project near SM City and Xavier University at upper Carmen district, 15 kilometers away from the city center. A 7-storey condominium, Granvia Suites is a low-density residential building with 87 units, 15 on five floors, seven on the top floor adjacent to an open-air roof garden, and five commercial spaces on the ground floor. More than 40 percent of these units have been sold out, mostly to homeowners from elsewhere in Mindanao who found Granvia Suites a halfway home while at work and doing business in Cagayan de Oro City, disclosed Bacungan. For the remaining available units that are all ready for occupancy, the new homeowners can move in after paying their respective equity on the third month when they will also have completed a few required documentations, she said. They move in with their units furnished with a bed, sofa, cabinets at the bedroom closet and kitchen, as well as granite countertop, cooktop and range-hood at the kitchen, she added. All condo units are spacious than usual from some 23-square meters for studio units that range from P1.6 million to P1.8 million, and P3.3 million to P3.6 million for units with one to two bedrooms with sizes from 46 to 50 square meters. With the equity pegged at 10 percent of the total cash price (TCP), monthly amortization could range from P9,000 to P12,000, while amortization for the remaining 90 percent could run between P9,000 to P20,000 a month. JVC grants an outright 10 percent discount to homeowners who will acquire their units on spot cash, on spot payment of equity at 50 percent of the TCP, and also for spot payment of equity, Bacungan disclosed. Granvia Suites is backed by a generator with 100 percent capacity of its expected maximum load, and is fitted with a fire detection and alarm system that triggers a water sprinkler system fed by a roof-top water tank that supplies water to all units. The building has an elevator that carries 10 persons, and CCTV camera for security monitoring on every floor that is also provided with a garbage room. The ceilings are 2.4 meters above the floor, while the hallways are 1.2-meters wide. 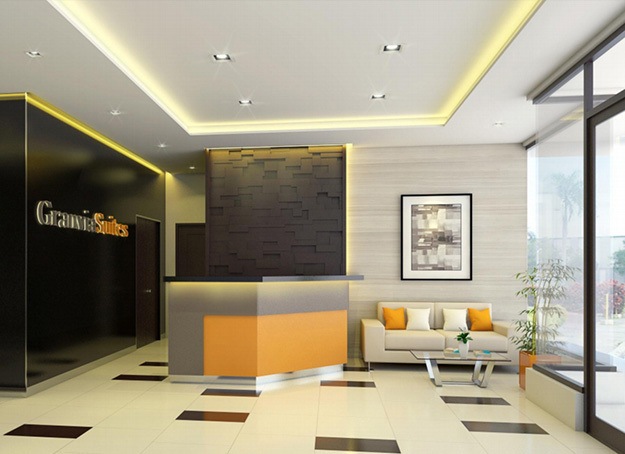 Granvia Suites is built as Cagayan de Oro City has steadily grown, fast becoming a dominant metropolis with more migration into the city noted and expected to increase further in the next few years. Even this early, it would be essential for one to entertain the idea of living in even just a halfway home as Granvia Suites that is far from the bustles of the city yet near enough for one to practice one’s profession or to undertake one’s daily trade. For more information about Granvia Suites, one may contact any accredited broker or visit the Johndorf office at Unit 7 of Jofelmor bldg. on Mortola St., this city, or call (088) 857-8575, or visit http://www.johndorfventures.com.ph/portfolio/granvia-suites/ online. This entry was posted on February 8, 2016 by Cerwin in Johndorf Ventures and tagged Cagayan de Oro, CDO, Granvia Suites, Johndorf Ventures, real estate.